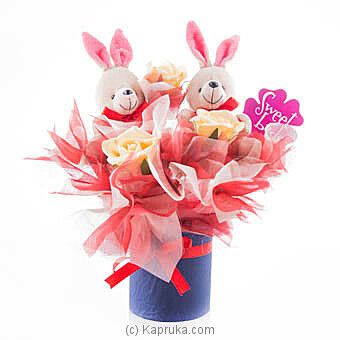 An adorable vase decorated with flowers and two bunnies. Gift someone special to have this special arrangement to think of you every time. Sweet Love Chocolate Gift Bo..